To claim this profile, please confirm you are Kayla Revelo. To follow this profile, please let us know your relationship to Kayla Revelo. RESULTLoss Girls varsity basketball @ Antelope. The St. Patrick-St. Vincent varsity basketball team lost Tuesday's away playoff game against Antelope (CA) by a score of 61-50. Kayla's basketball stats have been updated for the win vs. Del Norte. The St. Patrick-St. Vincent varsity basketball team won Friday's neutral playoff game against Del Norte (Crescent City, CA) by a score of 66-62. This game is part of the "NCS/Les Schwab Tires Girls Basketball Championships - Division 4" tournament. Kayla's basketball stats have been updated for the win vs. Piedmont. RESULTWin Girls varsity basketball vs. Piedmont. The St. Patrick-St. Vincent varsity basketball team won Wednesday's home playoff game against Piedmont (CA) in overtime by a score of 64-59. Kayla's basketball stats have been updated for the win vs. McKinleyville. RESULTWin Girls varsity basketball vs. McKinleyville. The St. Patrick-St. Vincent varsity basketball team won Saturday's neutral playoff game against McKinleyville (CA) by a score of 67-48. 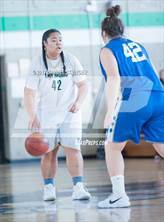 Kayla's basketball stats have been updated for the win vs. Salesian College Preparatory. RESULTWin Girls varsity basketball vs. SCPHS. The St. Patrick-St. Vincent varsity basketball team won Saturday's neutral playoff game against Salesian College Preparatory (Richmond, CA) by a score of 54-53. Kayla's basketball stats have been updated for the win vs. Swett. RESULTWin Girls varsity basketball vs. Swett. The St. Patrick-St. Vincent varsity basketball team won Thursday's home playoff game against rival school Swett (Crockett, CA) by a score of 62-54. 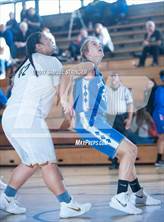 Kayla's basketball stats have been updated for the win vs. El Cerrito. The St. Patrick-St. Vincent varsity basketball team won Thursday's home conference game against El Cerrito (CA) by a score of 69-37. The St. Patrick-St. Vincent varsity basketball team won Tuesday's home conference game against rival school Swett (Crockett, CA) by a score of 54-53. Kayla's basketball stats have been updated for the win @ Bethel. RESULTWin Girls varsity basketball @ Bethel. 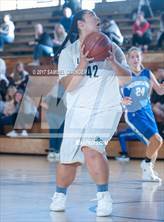 The St. Patrick-St. Vincent varsity basketball team won Friday's away conference game against Bethel (Vallejo, CA) by a score of 58-24. Kayla's basketball stats have been updated for the win @ Saint Mary's. RESULTWin Girls varsity basketball @ Saint Mary's. The St. Patrick-St. Vincent varsity basketball team won Tuesday's away conference game against Saint Mary's (Albany, CA) by a score of 73-50.